Your loyalty is rewarded with our new loyalty card scheme. 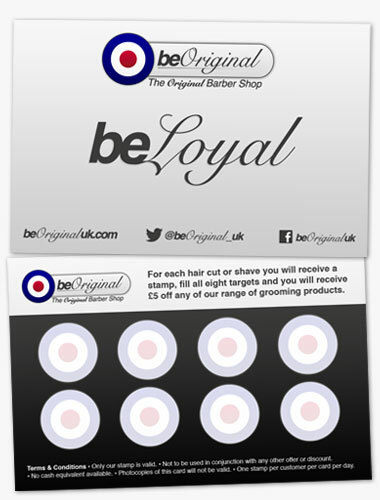 Every time you visit us for a hair cut or shave you’ll receive a stamp on your beLoyal card. Once you’ve had all eight targets stamped you can redeem your card towards £5 off our range of grooming products, including American Crew, and Menu. It’s free to join, so when you next visit us sign up and start collecting.